Whether you are a home-based business, a one-man/woman band or you employ a team of people there is a telephone system that can revolutionise your business – that system is VOIP. 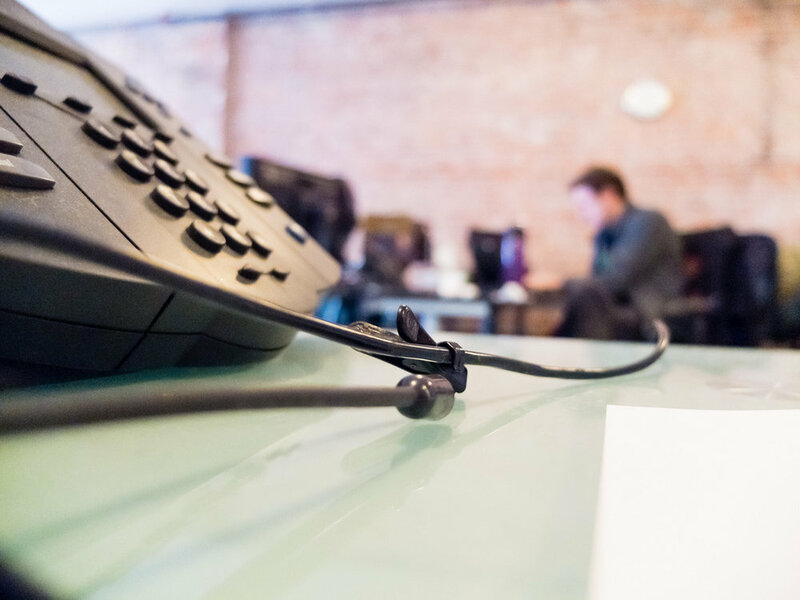 VOIP (Voice over IP) uses the Internet rather than traditional, labour intensive telephone lines to transmit phone calls and brings many benefits to business owners. I am being asked a lot about the benefits of VOIP and I thought I would share some of the ways I believe it can revolutionise YOUR business. Cost is just one of the benefits of VOIP. VOIP is cheaper than traditional land-lines and utilises the technology that you are undoubtedly already using and paying for – the Internet. No new connections need to be installed and there are no high call costs. Do your colleagues work in different offices or different locations? With a VOIP phone system you can put calls through to any destination and have your phones ring on multiple phones, all setup through a simple web browser. Increase productivity by only taking the calls that you need to. Imagine how satisfying it will feel to ignore and disconnect those annoying ‘can’t take no for an answer’ sales calls. Prioritise calls and choose which go through to your well-crafted answer phone message. This ensures you are not distracted from what you are working on and taken off on an unnecessary tangent – remember your time is very valuable too. This is a must-have feature for those of us who aren’t in front of our desks all of the time. Call twining lets you create a list of people and numbers that get redirected to another number (i.e. your mobile) before your business number voice-mail kicks in. You can set the number of ring times before the call divert is implemented and the number of different numbers the call is diverted to before voice-mail eventually is received. Make it easy for those important clients to reach you wherever you are. It is not always easy to discreetly check your voice-mail using your mobile, however with the rise of the SMART phone and accessibility to email wherever we are you can have flexible and easy access to all of your messages. VOIP will send your voice-mail messages straight through to your inbox allowing you to listen to them anywhere you are. VOIP’s auto attendant feature is one of the most useful for larger companies. I call it the electronic receptionist! Callers are able to interact with a selected menu of extensions appropriate to your business. Again you set the extensions and messages so you get a completely unique service that represents your business exactly how you want it to. And if that isn’t enough you can create a call plan to set the times of day that calls are routed to who and where you wish. This feature does exactly what it says on the tin…set it when you are in meetings, focusing on an important piece of work or just having a five-minute breather to recharge. You can programme the Do Not Disturb Feature so your callers do not feel unloved and ignored and direct them to another destination or your voice mail. You will remember last month we focused on the importance of being open for business and business continuity. VOIP is an essential risk management tool that will enable you to transfer your telephone services instantly should the worse ever happen – you just plug your handset into another network socket in any location and you are good to go. This will not only keep you accessible to your customers and allow you to maintain a service for them but will also enable you to make all those calls that will be needed to get your business back up and running. As well as this any amendments can be made to your call plan by simply logging into your online portal and making those changes live. Call me on 01452 222000 for a no obligation quote and find out how VOIP can benefit your business from only £13.49 including unlimited 01/02 numbers.